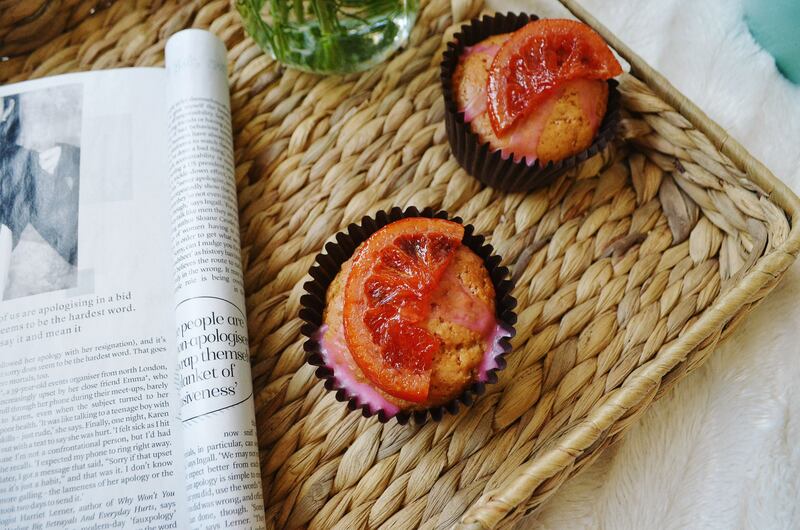 Anyway, I wanted to bake something summery – since the weather’s cheered up over the last few days – but after the whole Pastel de Nata fail wanted to keep things a bit simple, so I came up with these Blood Orange and Almond Muffins. I made them yesterday morning before it got really hot, then went out for a walk around the field with Bungle. They were the perfect treat to come back to, but honestly, the best part about them is the candied blood orange segment on top. Yum. For the glaze gradually add some icing sugar to your blood orange juice until you reach the consistency you want. Preheat the oven to 180° and fill a muffin tray with muffin cases. In a large bowl, mix together your dry ingredients – that’s the flours, ground cinnamon, baking powder, ground almonds and sugar. In a separate bowl whisk together the eggs, milk and melted butter before stirring it into the dry ingredients. Once combined, mix in your blood orange zest. Share the batter between twelve muffin cases, then bake for 20 minutes. Once the muffins are cooked, set them aside and leave them to cool. To make the candied blood oranges first bring a deep saucepan of water to the boil and soak the blood orange slices for 3 minutes until the peel is soft. Have a bowl of cold water ready, and drop the slices in there to cool. 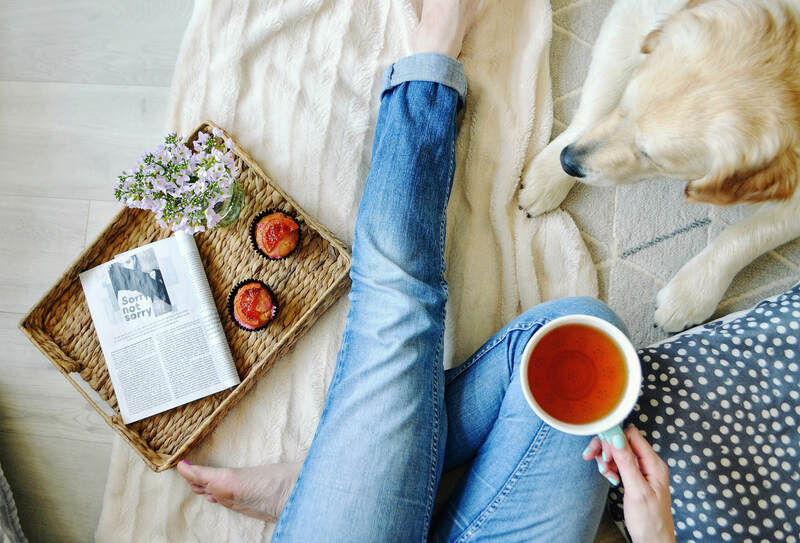 Heat up a saucepan with the sugar and water – don’t be tempted to stir, leave it until the sugar all dissolves and then add the blood orange slices. Let them simmer in the sugar water for 30 minutes, making sure you soak both sides, then put them on a sheet of baking paper and leave to cool. Me too 🙂 Let me know how they turn out!